This safety razor has a fascinating historical twist. 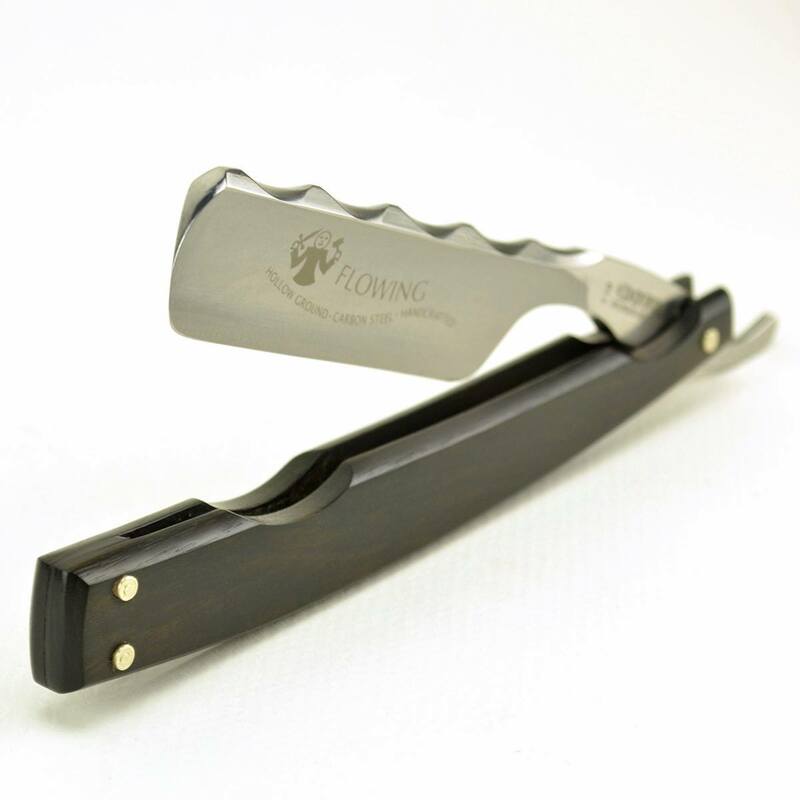 The material used on the handle Is In fact 300 year old bog oak. 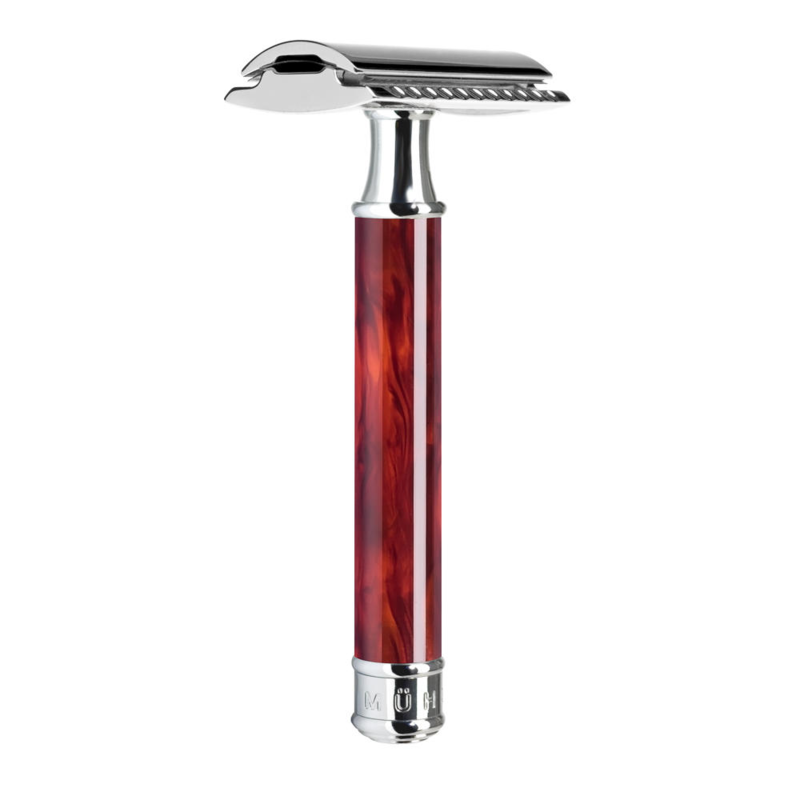 Voted the number 1 safety razor by the Independent Online. As we are Official retailers of Muhle products. 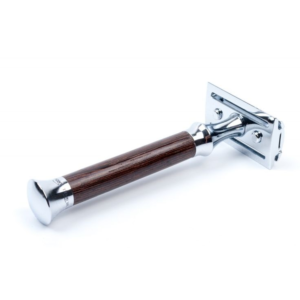 We were very keen to start selling the Muhle kosmo safety razor bog oak. The Kosmo has a closed comb head that Is set at a middle aggressive level. The Illustrious metal sported on the Kosmo is high quality plated chrome. Shaving with the Kosmo is an excellent middle ground. Safe to use and still a very close shave and eliminating any rogue hairs. The Kosmo Is easily dismantled into several pieces. Making loading new blades very simple Indeed. Cleaning also couldn’t be easier. Just rinse in cold water will suffice. Muhle have made excellent shaving equipment for 70 years, and the high end engineering that goes Into the Kosmo, is testiment to that. 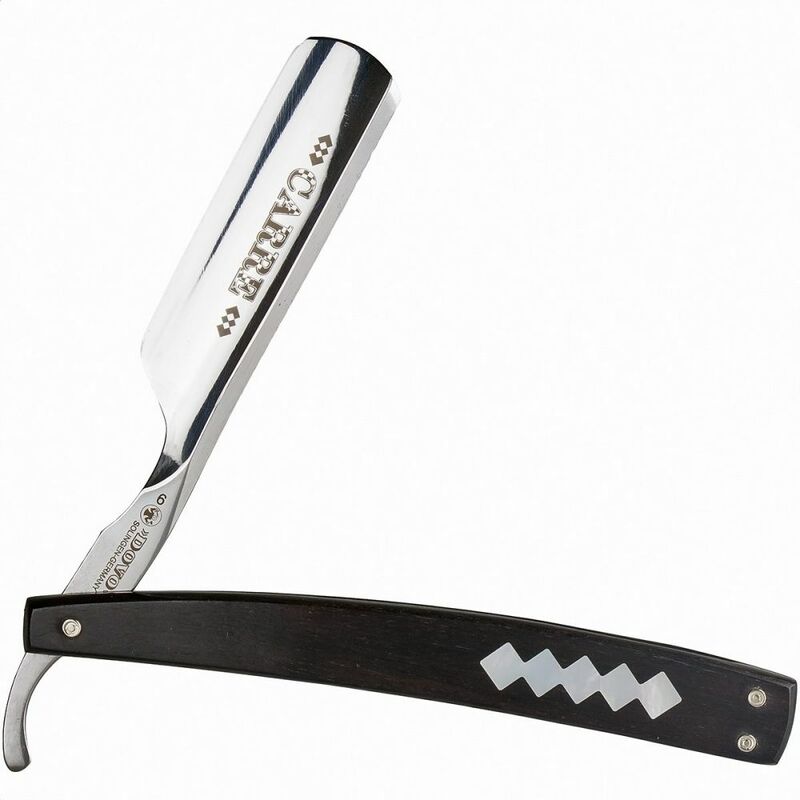 It also comes with a free Muhle stainless blade. Edwards traditional shaving emporium. Are an abundant resource of shaving Information. If you have any questions regarding shaving. Please do not hesitate to contact us. Also we have a wealth of advice on our blog. This regards shaving technique and the practice of our most excellent products. We sell 10 different types of blade brands. So you can try them and choose your favorite. As if by magic all double edged blades are the same size. That means all will fit the Muhle kosmo safety razor bog oak. 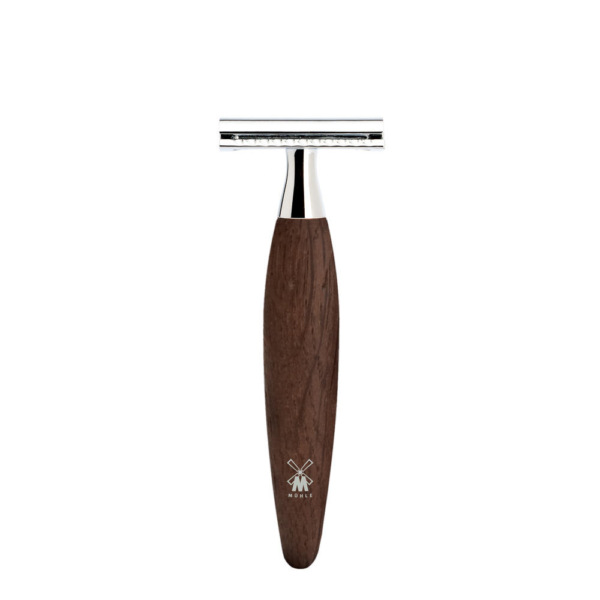 Muhle make their own brand of blades which are firm and stay sharp.We have had a great response to this safety razor due to the coverage in the Independant. Muhle are a great company to be official retailers of. The range is just great for the modern shaver.